Inspire curiosity and exploration for children aged 3 years and above, providing the ultimate in multi-sensory learning experiences. 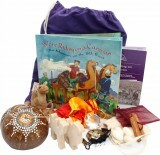 The large Treasure Basket features 53 hand-picked items combined to inspire and support children's ongoing development and imagination. Watch children learn and discover as they investigate and explore their way through all the items, discovering unfamiliar shapes, colours and textures on an educational adventure that is guaranteed to entertain and delight. 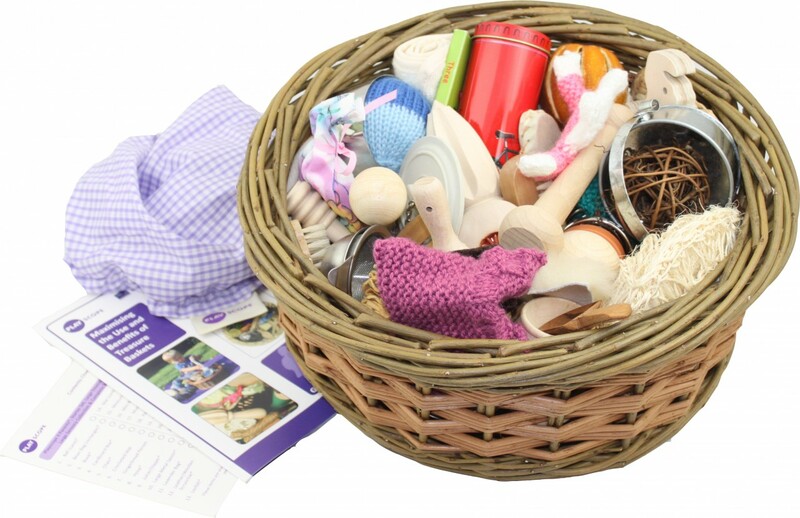 With items carefully chosen for their balance, sensory appeal and variety, this is the perfect solution for the practitioner, parent or carer who wants a 'ready to use ' treasure basket, optimising both time and money. All our baskets are handmade in the UK using organic willow and as many of the items are hand-made each Treasure Basket is unique with its own 'wow' factor. •	12.5“ diameter basket with 53 handpicked items*, many environmentally friendly and sourced from socially responsible centres.